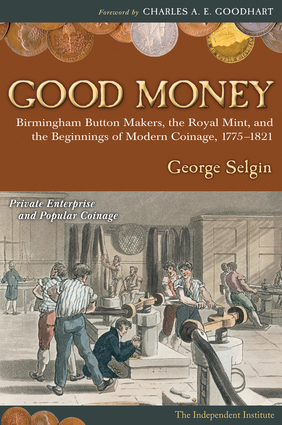 George Selgin is a research fellow at the Independent Institute and a professor of economics at the University of Georgia. He has contributed to numerous journals, including the Economic Journal, the Economic History Review, the Financial Times, and the Wall Street Journal. He is also the coeditor of Econ Journal Watch and the author of Bank Deregulation and Monetary Order, Less Than Zero: The Case for a Falling Price Level in a Growing Economy, and The Theory of Free Banking. He lives in Athens, Georgia.